Event 3 in #TVWSOPCircuit is a $365 with $100 bounties and a $30,000 Guarantee. The field is now at 272 entries in Level 6 with about 90 minutes left in registration. 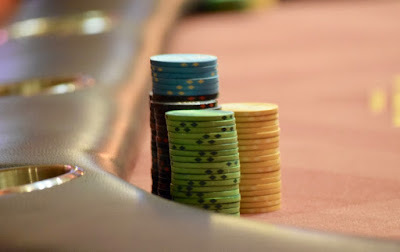 Players start with 10,000 stacks and play 30-minute levels in this one-day tourney that awards a @WSOP Circuit ring to the champ and WSOP Circuit Thunder Valley Casino Championship points to all who cash. Registration and a single re-entry per player is available until the start of Level 9 at about 5:30pm.